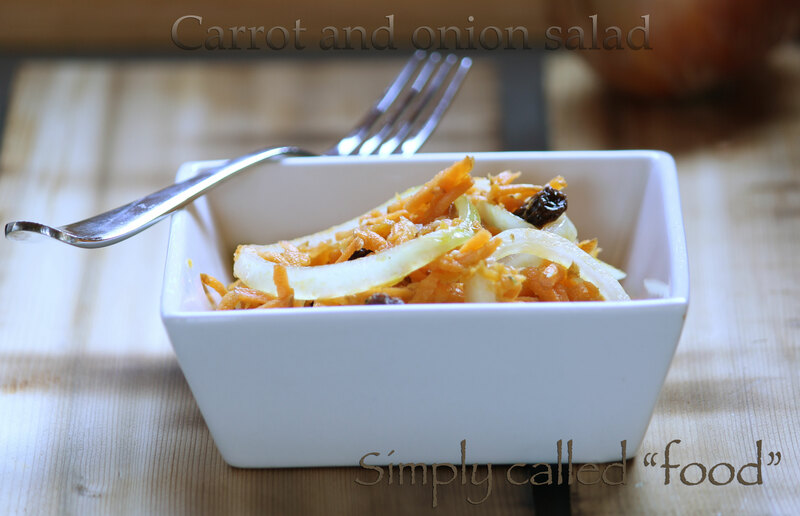 Carrot and onion salad | Simply called "Food"
Yes I am sick! I have a cold, so is a big part of my family. It started last week with my 5 years old son and he passed it on. The best thing when we are sick is to eat onions. 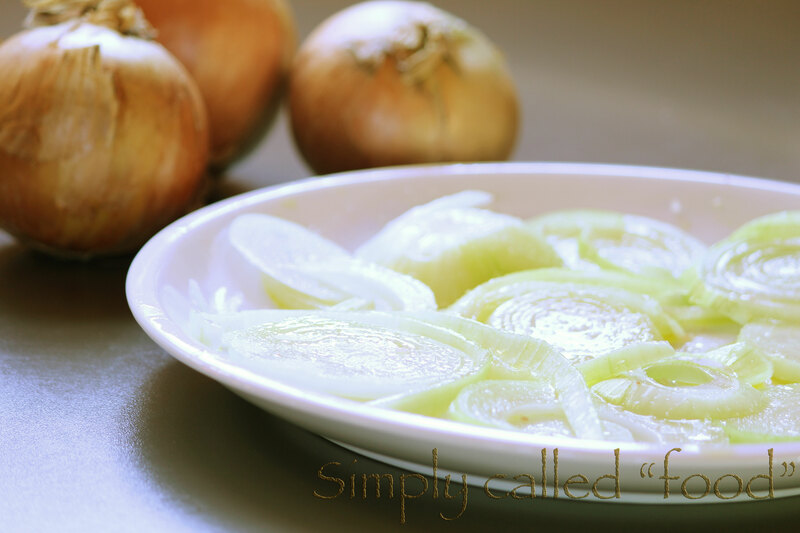 The next few post will include ways to make and eat raw onions, and the most important is to have recipes that KIDS will eat. Not only onions but eating raw vegetables to keep the most out of the vitamins and the nutriments is a very good way to help getting better. As very often I give quantities for our family of 6, but you adjust according to your need. Thinly slice your onion and put them on a plate. Cover them with oil and sprinkle with salt. Set them aside for about 15 minutes. This will help to get rid of the strong taste. My kids appreciate onions like that. In the meantime, grate your carrots and put them in a salad bowl. Add in the hemp seeds, the raisins, the olive oil, the vinegar, some salt and pepper. Stir in the onions and let your salad marinate for 5 minutes or more before serving. Tags: Carrot, Food, Fruit and Vegetable, Gluten free, Hemp, Onion, Raw, Recipe, Salad, Seeds, Vegan, Vegetarian. Bookmark the permalink. We love raw sliced onions and fresh tomatoes with a dash of salt and some fresh basil to get our raw foods down. The dash of salt really draws out the sweetness, ironically. Thanks for referring my recipe!